Early developmental exercises are introduced for strengthening of babies’ lower, middle and upper bodies necessary for sitting, standing and walking. Baby massages are infused to improve babies’ blood circulation as well as activities to encourage early language development. Then it’s off to the gym for other locomotive, balance, postural, strength and coordination activities. Being able to walk now opens up a whole new world to the toddlers. They are ready to explore and discover everything they see, touch and even taste. They begin to learn from their mistakes when they make choices and decisions whilst tackling the various exciting equipment laid out in a circuit. This allows them to explore at their own pace yet in an orderly manner. Music plays an important role with early language development activities, encouraging the toddlers to make their first language attempts in communicating with others. 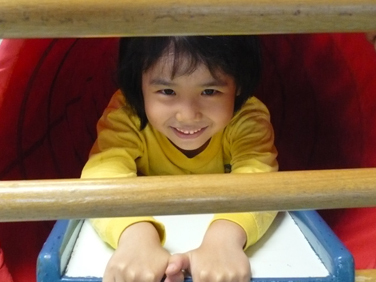 Structured play is now introduced to the young children to promote Self-Discipline. 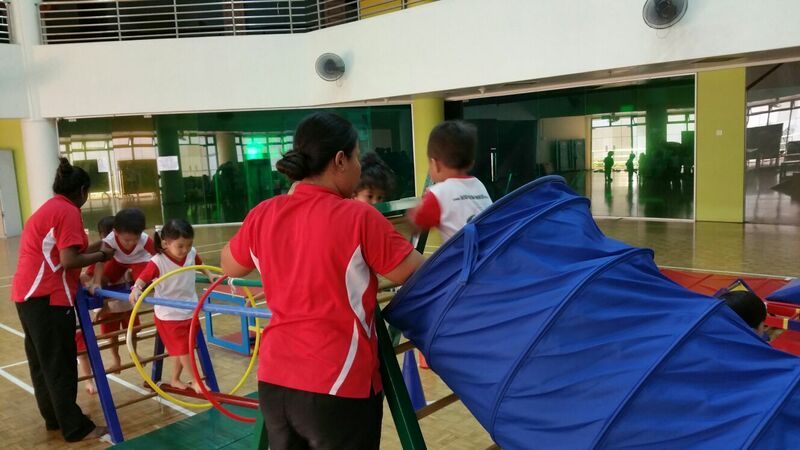 They now learn to work in small groups called “trains” as they tackle the various tasks set out for them at the Axial, Locomotor and Coordination gym stations. Getting into trains allows the children to listen, respond to instructions and take turns whilst activities at the various gym stations develop their motor skills. Independence is now the key word in this programme. 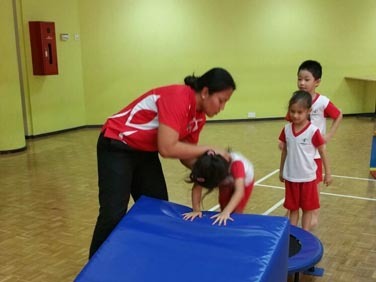 Children are encouraged to recall and make decisions as they tackle tasks set out for them at the various gym stations under the close supervision of GymKidz staff. This helps the children in memory recall, analytical and critical thinking and deciding between what is safe and unsafe. The children are now ready to work and function as a team as they tackle the different activities such as team games, team exercises and the more challenging tasks set out by GymKidz This not only enhances their Self-Confidence, Self-Awareness, Self-Discipline and Self-Esteem, it also helps them to learn to be part of a team. Team activities help children to understand that a team can achieve more than an individual, learn to accept that everyone has their strengths and weaknesses and the importance of caring and supporting those who are not as able. The older children are more than ready to function as a team under a child Team Leader as well as to tackle individual and team activities set out for them. Assuming the role of Team Leader helps to develop leadership qualities in the children whilst team relays help them to cope with failure and the determination to try again. This helps to instil a “Can Do” attitude in the children. 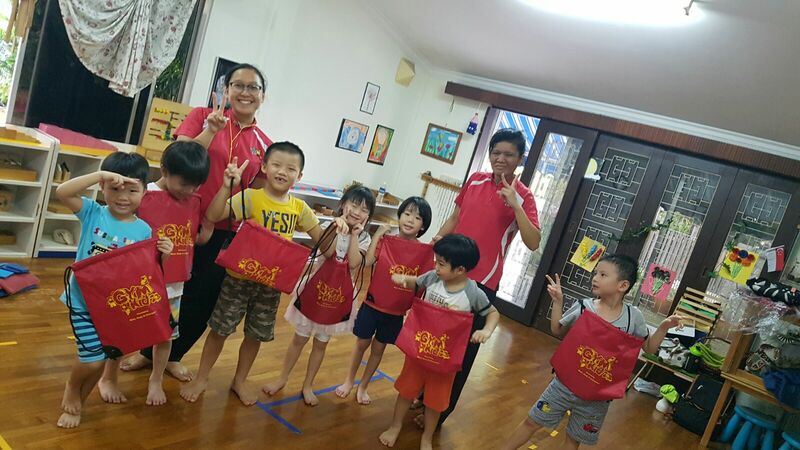 **We also have programmes for children from 7—9 years old.